If there's one thing (okay, one of the things) that divides people over the Apple Watch, it's the design. Some people just aren't feeling that rectangular look and yearn for something more familiar. Something more circular. A new patent recently awarded to Apple could indicate that the folks at Cupertino are thinking about changing things up or at least open to offering a round alternative to its smartwatch. "An electronic device may have a display. The display may have an array of pixels. The array may have rows and columns of pixels that form an active area for the display. The active area may have a curved edge and may have a circular shape. A circular ring-shaped inactive area may surround the circular active area of the display." The patent was filed in January 2016, eight months after the first Watch launched and according to Patently Apple, engineers at Apple were likely given this project to work on should the idea of a round interface be an option in the future. It also follows a patent filed by Apple recently that relates to the very same subject. So maybe this isn't one to swiftly dismiss as just another one of those patents that will never see the light of day. Apple hasn't been the only company to opt for a more rectangular approach with its smartwatches. Fitbit's first two watches have gone down that route, and as with Apple this is to ensure it has the best screen read information like notifications or messages. Google's very first Wear watches and Samsung's early Gear instalments also went rectangular, but it's been all round since then, and you'll be hard pushed to pick up a Wear OS that isn't round today. Could Apple follow suit? It looks like it's at least planning for the possibility should it decide to offer a radically different design. Probably not for the Apple Watch Series 4, but maybe for a model further down the line. 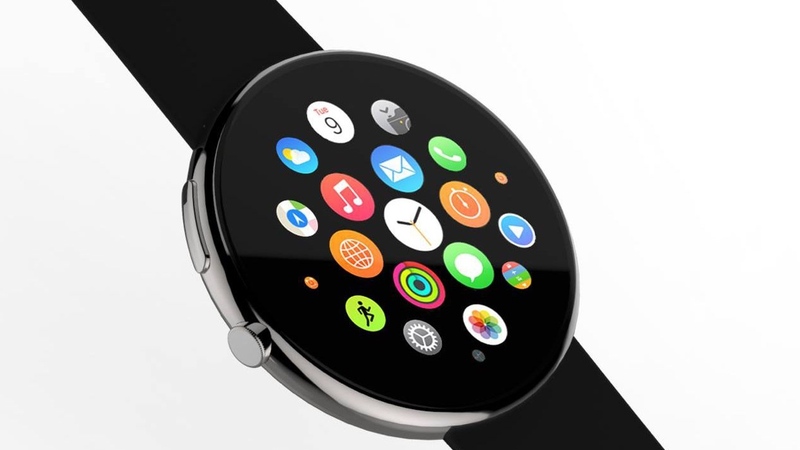 Would you still like to see a round Apple Watch? Let us know in the comments section below.